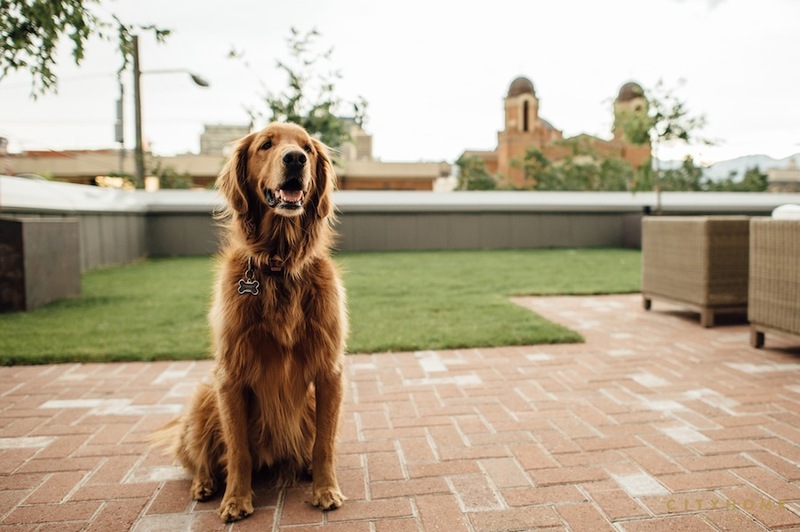 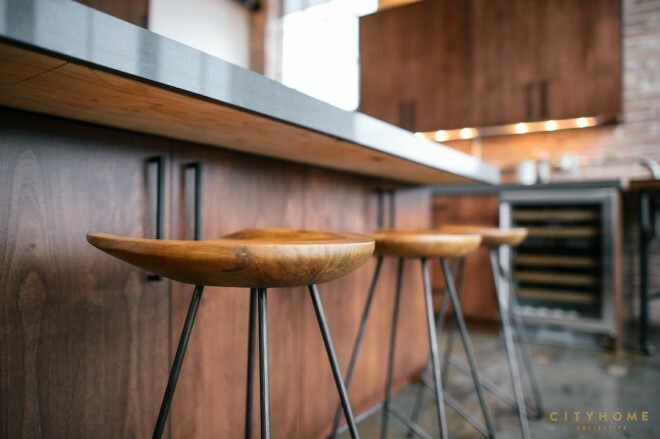 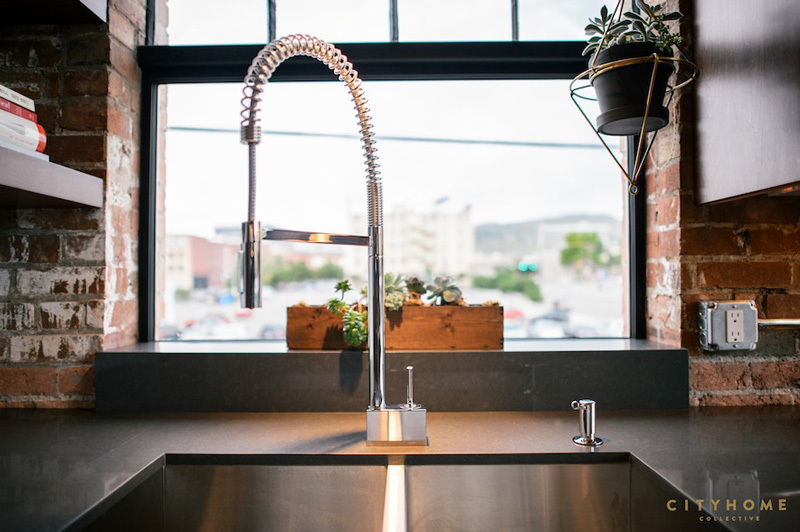 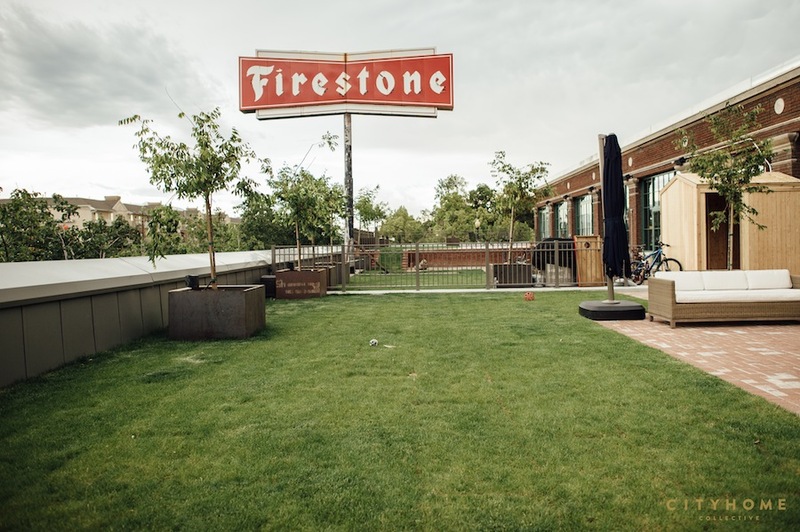 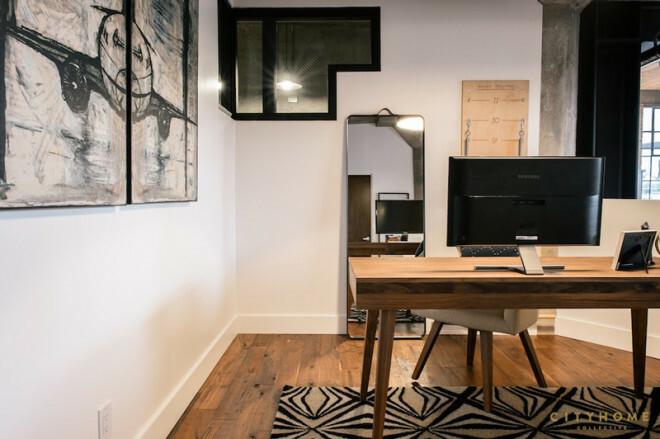 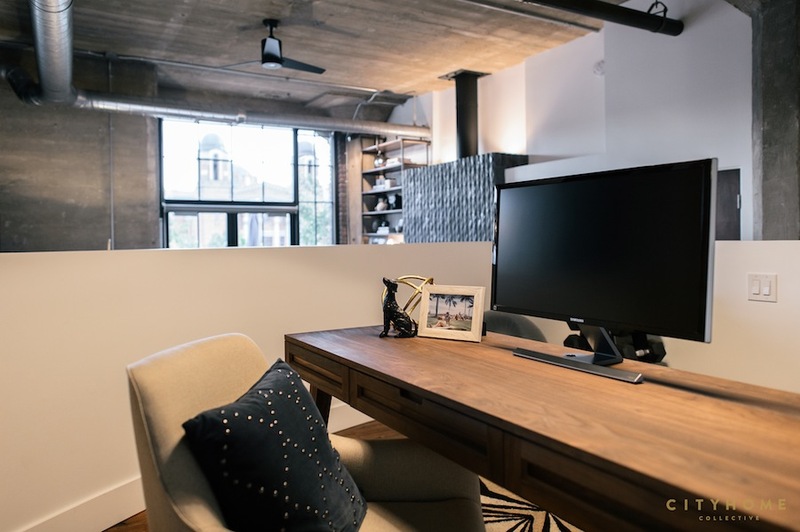 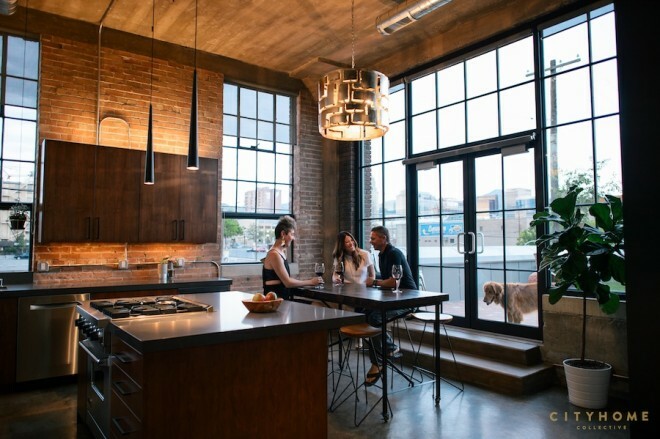 When Hollie and Sean Strasburg bought their loft in the Tire Town building in Salt Lake City, they knew immediately that they wanted to bring the space back to its industrial roots. 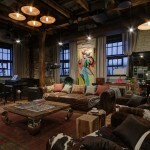 Thus started the story of this gothic industrial loft. Built in 1925 to house the Firestone Tire & Rubber Company, this fantastic red-brick building is currently home to Cucina Toscana, an Italian restaurant on the main floor and two living spaces above. 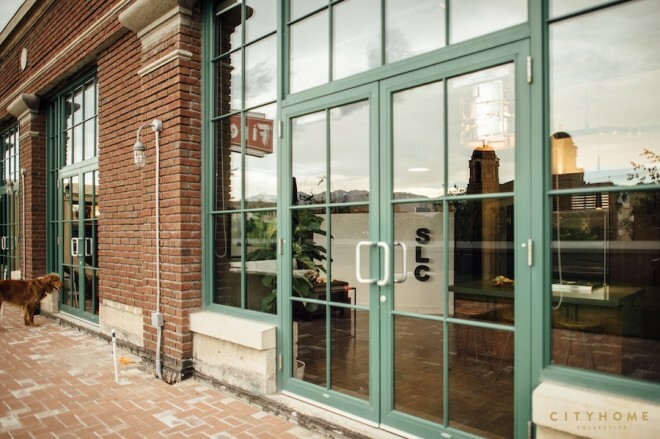 It’s a prime spot, to put it lightly: the lucky owners are hovering above Pioneer Park on the corner of 300 south and 300 West. 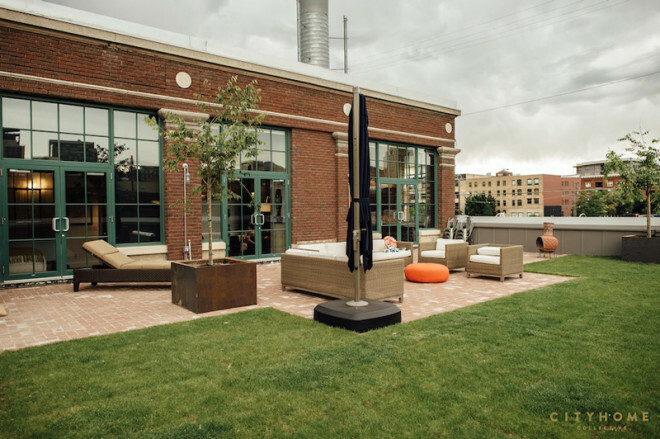 These two homes encompass the perfect way to live downtown without sacrificing outdoor space. 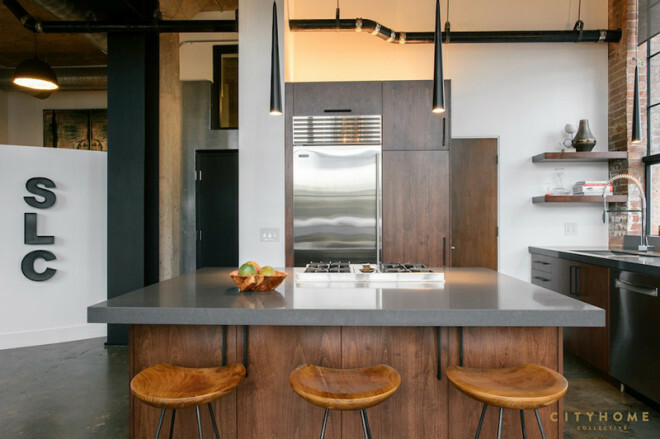 The designers started stripping away much of what the last tenant had installed in order to reveal all the raw and simple beauty of the space’s original form. 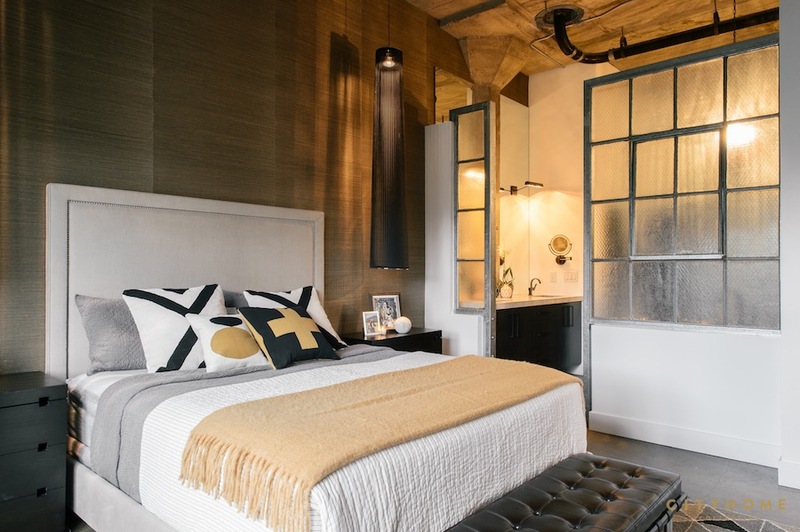 From there, they started carefully adding layers back on that worked harmoniously with the industrial vibe. 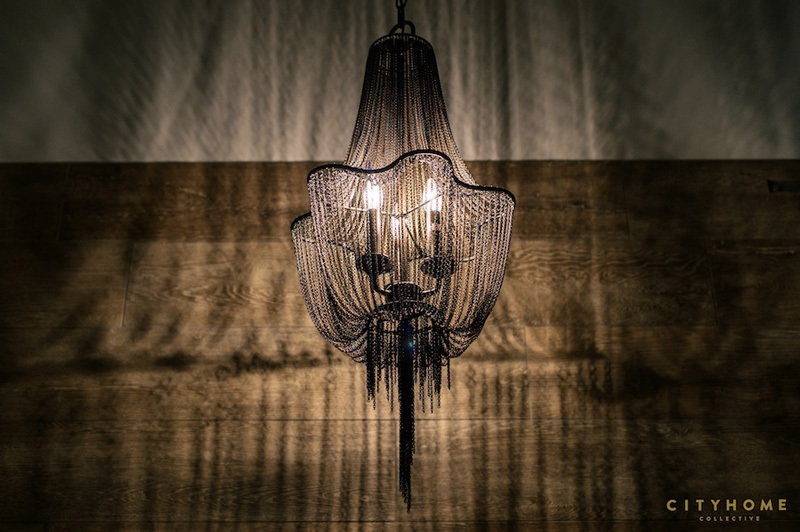 The magic lays in the richness, created with specific materials. 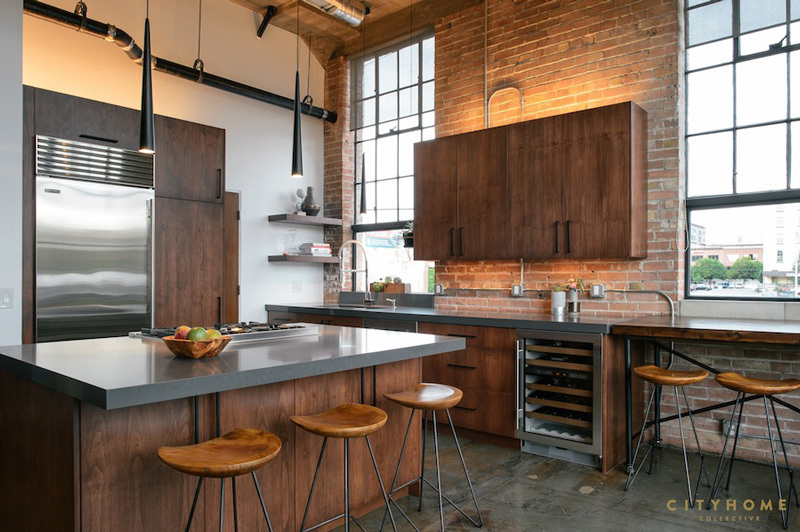 Aged, natural, cherry-finished cabinets in the kitchen, dark colors, black painted metalwork: it’s all delightfully juxtaposed by bright white walls and massive windows that allow for copious amounts of natural light throughout the space. 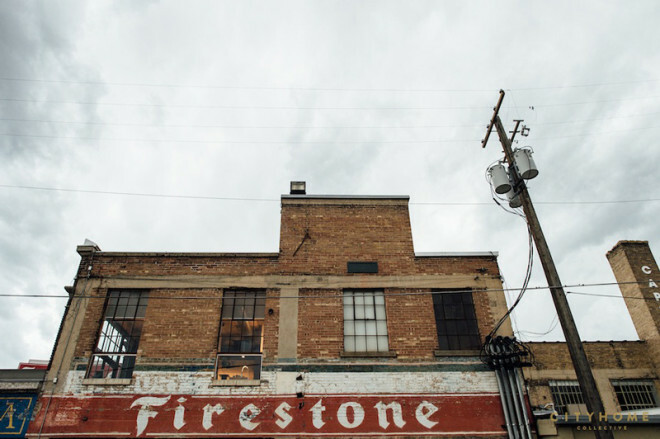 A smart move in retaining this building’s old charm was by keeping the brickwork exposed. 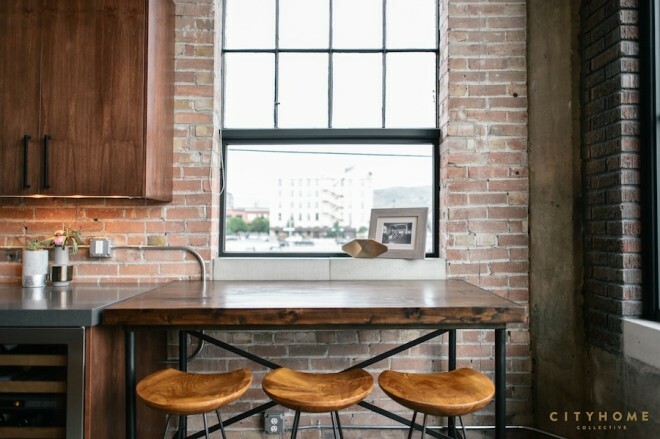 The brick walls offer a new look while preserving the history and the original character of the edifice. 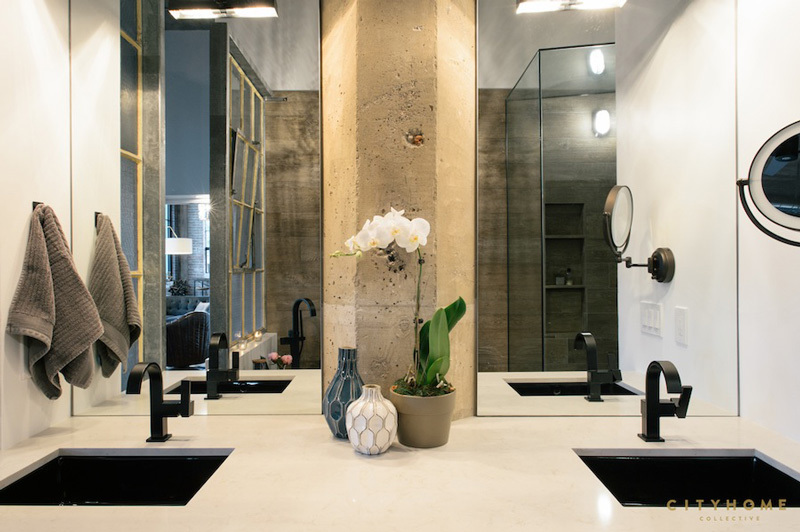 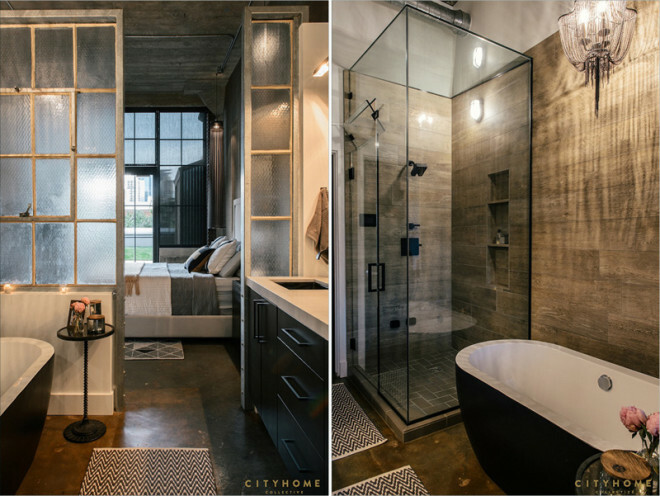 The master bath is a dish of gothic industrial: a metal/chain chandelier over a custom, matte-black-enameled tub that’s perched opposite the ebony-stained cabinets. 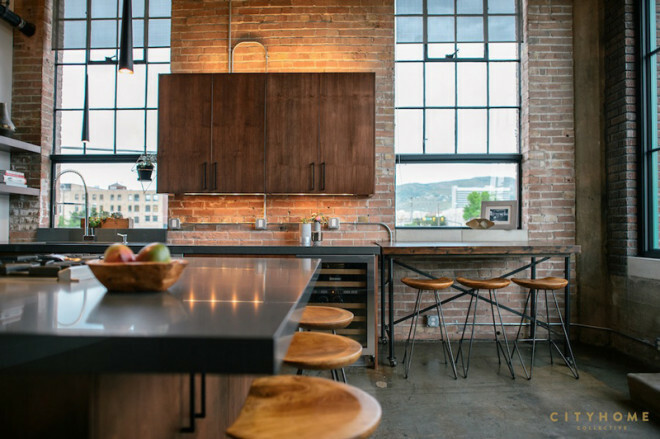 The walls are lined with 48” wood tile planks, which add a lot of texture and a touch more drama. The designers managed to add an organic element to an otherwise very hard and raw space with the grass-cloth wallpaper, and to accentuate the high ceilings, we hung 72” pendants from the ceiling over each nightstand. 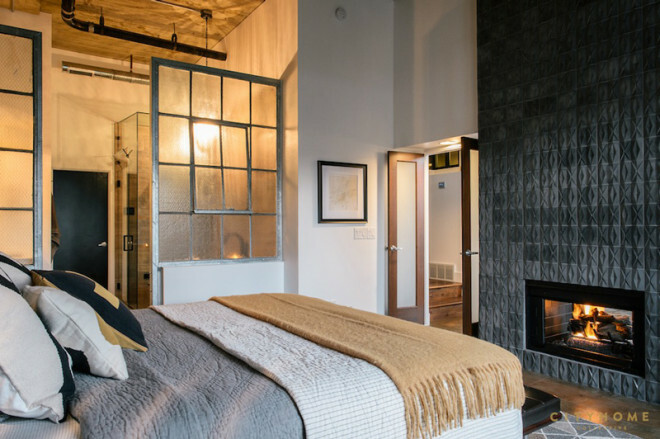 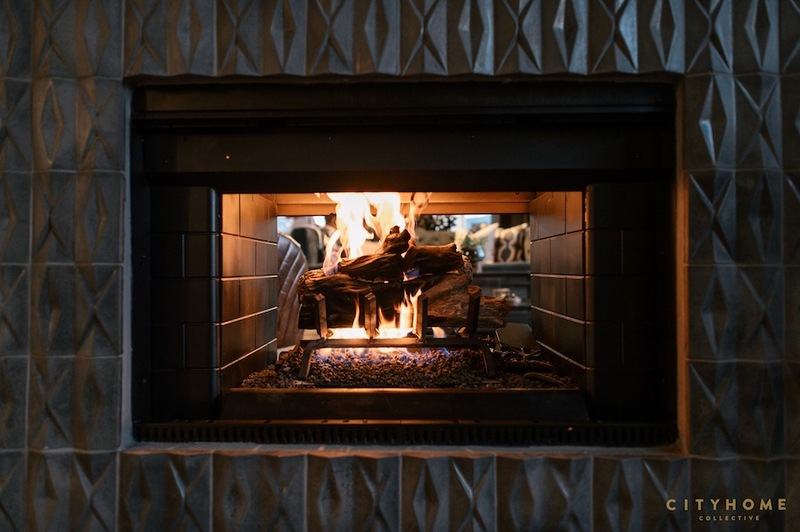 But the highlight is that double-sided fireplace (so you can take your romance in the bedroom and the living room). If the owner of this home wants a bowl of cereal, he must first lift a 40-pound steel ladder into place and climb up several feet to a cabinet where he stores them. 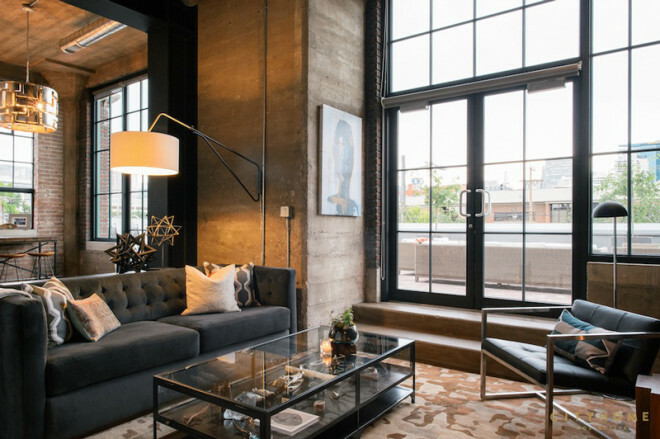 The desire to preserve large windows and the lack of available wall space prevented more accessible storage. 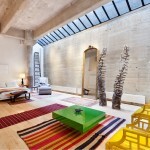 Two Italian fashion designers have created an industrial loft in Milan inside a former airplane-assembly factory. 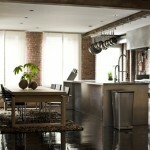 Industrial loft in New York City with concrete walls and colorful furniture and accessories. 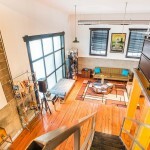 A loft large enough to ride your bike in sounds like the paragon of city living. 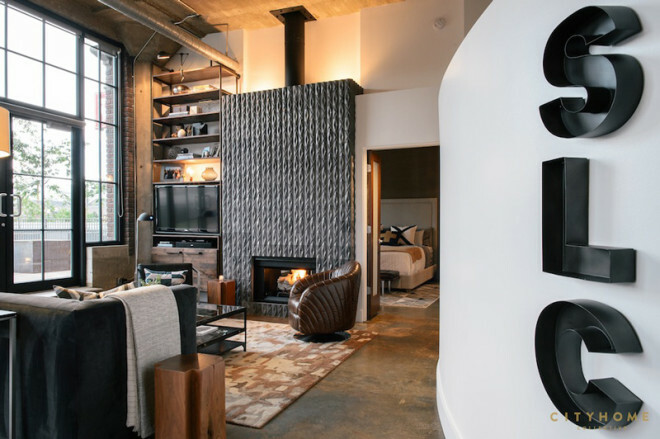 Problem is: how do you actually live in over 4,000-square-feet of raw space? 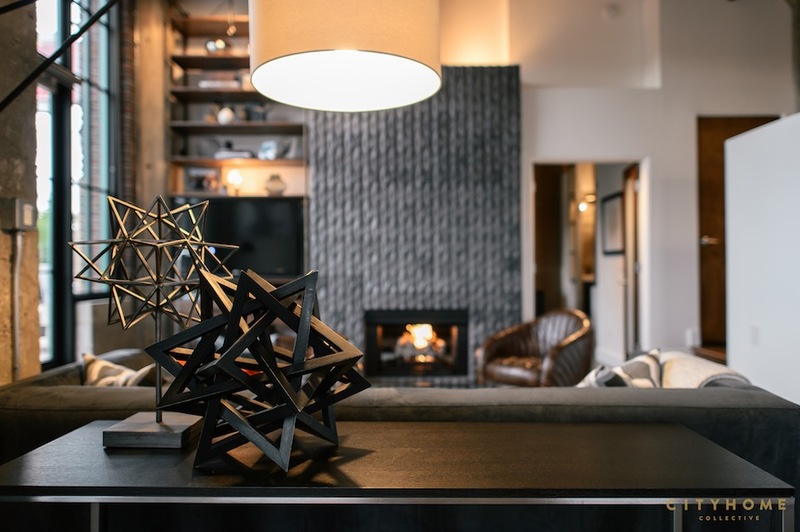 When you start with a cold, concrete rectangle filled with odd spaces, you need to add elements of color and texture to soften and warm the space. The loft has a very open and authentic feel, enhanced by the original character of the whitewashed brick walls, cement columns & tall beamed ceilings. 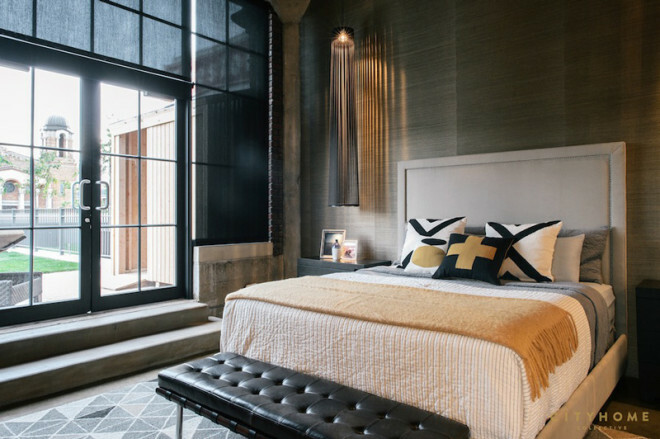 There are walls of Western and Eastern facing oversized tilt-and-turn windows front and back. 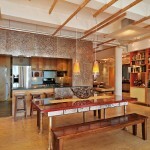 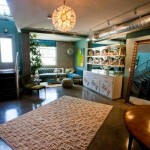 The airy white interior of the RPG Loft is a perfect reminder that warmth plays a critical role in a comfortable home. 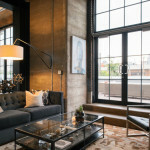 In keeping the brick structure and the original sandstone tiles in some places, the owners felt they have kept that feel.